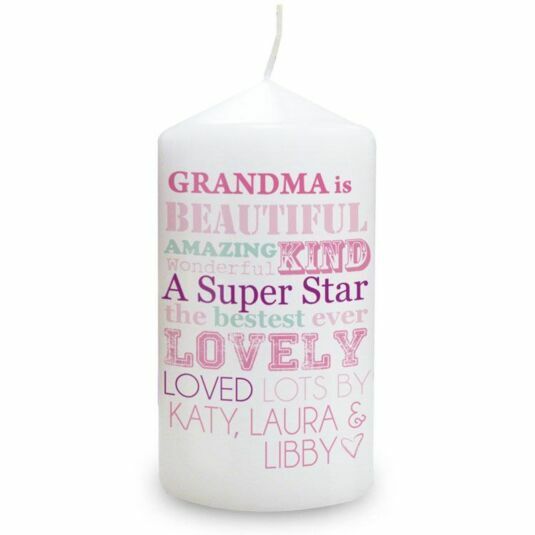 Show a deserving woman in your life how much they mean to you by giving them the gift of light with this sweet and complimentary She is… Candle. 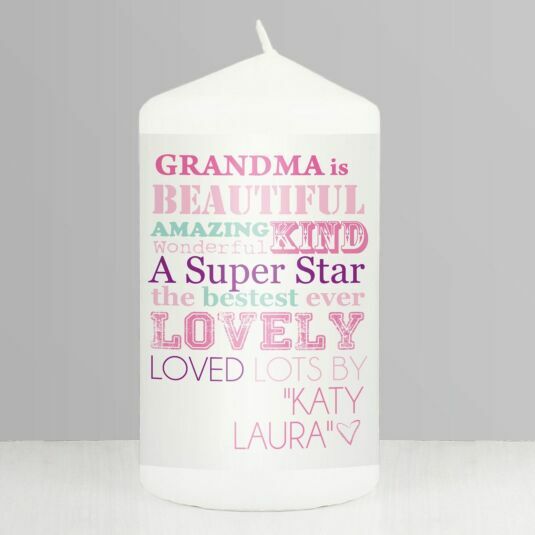 This personalised candle is a pillar design and cylindrical in shape, with a large wick. The burn time of this candle is approximately 58 hours, and the candle is naturally unscented. 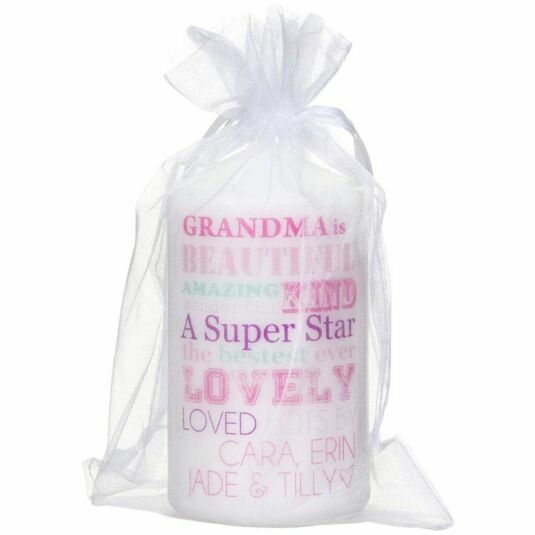 It comes beautifully packaged in an organza gift bag. The perfect gift for birthdays and Mother’s Day. Choose the recipent's name with a maximum of 12 characters, to appear above the fixed text, and the sender's name(s), across 2 lines with a maximum of 15 characters per line to appear at the end. All the personalised names will appear in UPPER CASE.